Second Wind: a public reading series pairing students in University of Montana's Creative Writing MFA program with UM faculty, alumni, and community writers. Readings are at 6:00 p.m. Sunday evenings at Kulture Kava, 420 N Higgins Ave in Missoula. Admission is free! 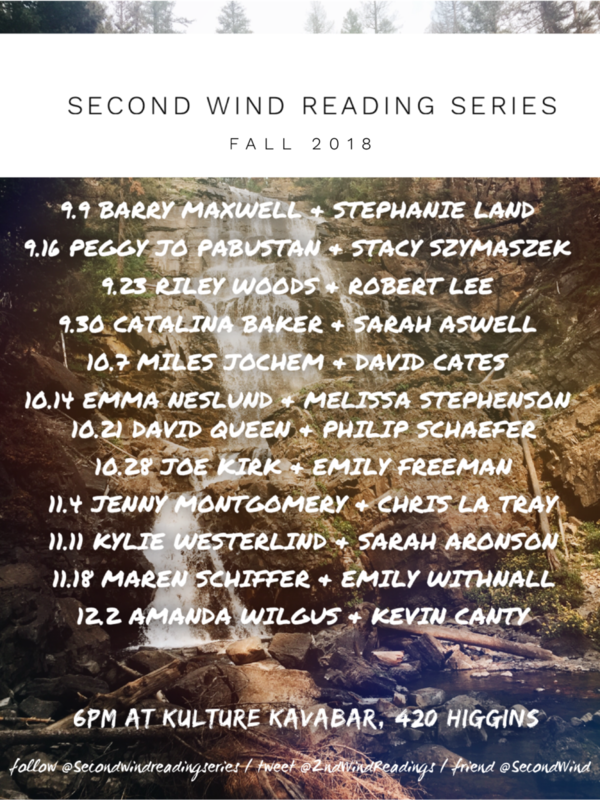 Join us this Sunday, September 23rd, for Second Wind number 3 of the season, featuring UM’s Riley Woods, and Missoula poet, Robert Lee. Riley Woods was born in and raised in the horse country of Ocala, Florida. He received an Associate in Arts in Pre-Pharmacy from the College of Central Florida before transferring to Stetson University and completing a Bachelor’s Degree in English. He is currently a second-year MFA candidate in Poetry at the University of Montana. His poetry has been published by several journals, including Obra/Artifact, Rogue Agent, Backlash Press, and The Bees are Dead. “Shadow on the Orange Grove” at the Rogue Agent Journal. “George Clooney Steps in Drying Concrete” at The Bees are Dead. “I am excited to read for Second Wind. It will be the third time I've been honored with this opportunity. I read the first time as an MFA student in the early nineties. I was a poetry student at the time but wrote and read a short story, "Big Ears," which was later published in the anthology New Montana Stories. After my Second Wind reading of this story, Leonard Robinson invited me to his final novel writing class. In that class I began my thesis which would in 1997 become my novel, Guiding Elliott, published by Lyon's Press. (Republished in 2013 by Mountain Press in Missoula and still available.) I am a believer that any time you get the opportunity to read or display your art, you should do so--good things often result. 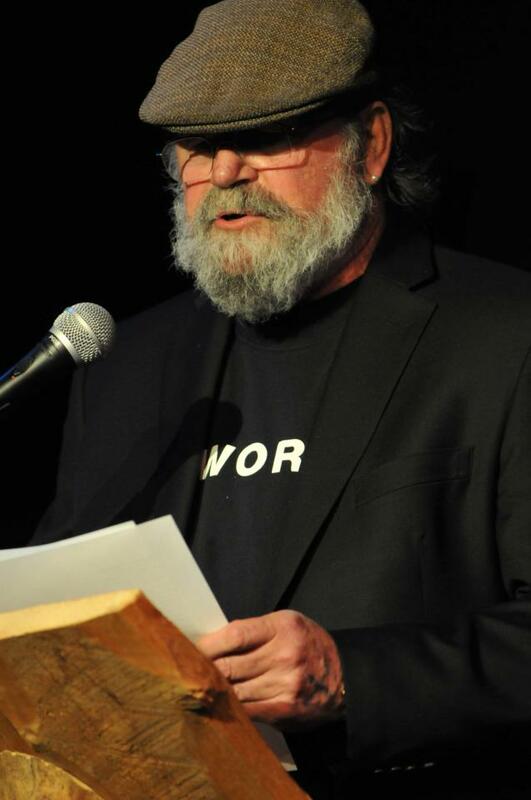 Robert taught creative writing for the Missoula Writing Collaborative for twenty years, as well as three autumns in Hydaburg Alaska, a small Haida Indian village on Prince of Wales Island, an experience that inspired his poetry chapbook Black Bear Holds a Hole in His Paws.